Amy Einhorn Books, 9780399157998, 324pp. 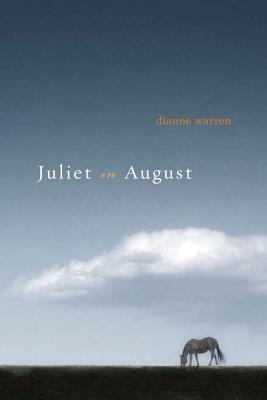 With writing reminiscent of Alice Munro, Carol Shields, Larry McMurtry, and Elizabeth Strout, "Juliet in August "uncovers the incredible drama beneath the inhabitants of a sleepy prairie town. Juliet, Saskatchewan, is a blink-and-you-miss-it kind of town a dusty oasis on the edge of the Little Snake sand hills. It's easy to believe that nothing of consequence takes place there. But the hills vibrate with life, and the town's heart beats in the rich and overlapping stories of its people: the rancher afraid to accept responsibility for the land his adoptive parents left him; the bank manager grappling with a sudden understanding of his own inadequacy; a shy couple, well beyond middle age, struggling with the recognition of their feelings for each other. And somewhere, lost in the sand, a camel named Antoinette. Dianne Warren is the author of short stories and plays. This is her first novel. It won the 2010 Governor General s Award for fiction, one of Canada s most prestigious literary prizes (published under the title "Cool Water"). Warren lives in Regina, Saskatchewan."